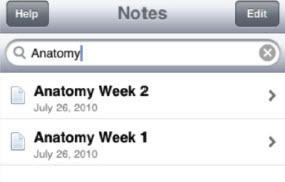 You can use the search function in PaperPort Notes to find a note set or information on a specific page. Note Search:Tap in the search bar on the note set list to open the keyboard and enter your search terms. You can save a search term by clicking the Bookmark icon in the search bar and then selecting the + button. 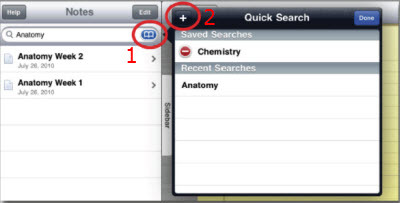 Page Search:Once you open a note set, you can search for anything within that document. This includes background text, box text, and most PDF files. Tap in the search bar at the top of the document to open the keyboard and enter your search terms.